Origin:	In the North of the country. Lacerda Lobo (1790) noted this variety in the Alijó and Sabrosa sub-regions of the Douro. Rebello da Fonseca (1791) stated that "this is one of the varieties from the Douro which makes good wine". Chief areas of distribution:	Douro. Official synonym(s) (national and OIV):	Tinta Cao (AU). Historic and regional synonyms:	Tinto Cam (Rebello da Fonseca, 1791). Area under cultivation:	330 ha. Trend:	Considerably improved compared to previous traditional plantings. Availability of propagating material:	RNSV polyclonal material. Clonal material in the process of being certified. DOC quality wine:	Porto, Douro, Bairrada, Dão, Ribatejo. Regional wine:	Trás-os-Montes, Beiras, Estremadura, Terras do Sado, Alentejano. Young leaf:	Green with bronze spots. Sparse hairs on lower side of blade, erect hairs of medium density. Young shoot:	Red stripes on the dorsal side of nodes and internodes. Low anthocyanin colouration in buds. Long tendrils. Mature leaf:	Large, pentagonal. Bright green blade, with sparse hairs, slight undulation; short, even, convex teeth. Petiolar sinus slightly open, sometimes slightly V-shaped and overlapping, sometimes limited by veins; open V-shaped upper lateral sinuses limited by veins; sparse prostrate hairs on lower side of blade; petiole shorter than main vein, which is normally of medium length. Bunch:	Very small, loose. Peduncle of medium length, incomplete lignification. Berry:	Medium, round, uniform, blue-black, strong to high bloom; flesh colourless, soft, very juicy. short peduncle. Time of bud burst:	4 days after the Castelão. Flowering:	1 day after the Castelão. Berry (harvest ripe):	Late, one month after the Castelão. Shoot attitude (habit):	Semi-erect, some plagiotropic. Length of internodes:	Long, regular. Shoot length:	Medium, sometimes very long. Tendency to form lateral shoots:	Low, and infrequent, even with very long vine shoots. Bud fertility index:	Medium. 1 = 1.53; 2 = 1.67; 3 = 1.89 flowers per shoot. Higher fertility in upper shoots. Yield:	Low (4,000 – 6,000 kg/ha). (RNSV statistical value: 1.55 kg/vine (Average of at least 40 clones in Tabuaço over 6 years). Sensitivity to abiotic factors:	ensitive to drought stress, subsequently loses leaves. Very sensitive to extreme heat, although the berry is quite resistant. Systemic viral infection prior to selection:	45% GLRaV-3, <50% RSPV. Susceptibility to Pests:	Very susceptible to the vine leafhopper. Bunch size:	Medium and small (100 - 200 g). Berry skin:	Strong expression in berry skin. Seeds per berry:	High, 3. Vineyard conduction system:	Suited to all types of training systems. Mixed pruning is recommended in fertile soils, to avoid high yields, with long canes. Soil requirement:	Soils of medium fertility, with some humidity, at low and medium altitudes, and sunny locations (South-West-facing). Climatic requirements:	Hot, high solar irradiation, but no drought stress. Vine density:	Greater vine spacing because of variety's high vigour and long canes. Rootstock:	Very compatible with R110, R99 e SO4 in fertile soils. Irrigation:	Responds well to irrigation, which is very important in dry years. Incidence of coulure/millerandage:	Very low susceptibility. Spoilage of mature berries:	Although the latest maturing of all grapevines, low susceptibility to Bunch Rot and sunburn damage. Machine harvest suitability:	Well suited, if topography permits. Wine type:	Red quality wine, dessert wine. Potential alcohol content:	With a very late harvest, a high quality wine is produced (12.5% - 13.5% vol.). (RNSV statistical value: 12.98% vol. (Average of at least 40 clones in Tabuaço over 6 years). Natural acidity of must:	Medium to high (5 - 7 g/l). RNSV statistical values: 4.71 g/l (Average of at least 40 clones in Tabuaço over 6 years). Total anthocyanins:	(RNSV statistical value: 521.26 mg/l (Average of at least 40 clones in Tabuaço over 3 years). Total phenols index (at 280 nm) of must:	27.90. RNSV statistical values: 22.93 (Average of at least 40 clones in Tabuaço over 3 years). Colour intensity of wine:	Medium, the weakest intensity of the quality varieties of the Douro, but intensity is enhanced with the ageing of these wines. Risk of oxidation of wine:	High. Requires close oenological attention. Aromatic profile:	Compared to other quality wines from the Douro, the analyses conducted in 1999 showed low concentrations of free terpenes (65 μg/l), responsible for their floral aroma. Ageing Potential:	Only if harvested when bunches are completely ripe. Blending recommendation:	Tinta Roriz, Tinta Barroca, Touriga Franca or Touriga Nacional. Wine Descriptors:	Quite a controversial variety, because it can produce both the worst of wines and the best of wines. In areas where ripening difficulties are experienced, the wines have less colour, less aroma, with cabbage tones, and are very thin in the mouth. By contrast, when the grapes have matured well, resulting in 13% - 14% vol. alcohol content, inspiring wines are produced. They are rich in colour, and somewhat penetrating, with an aromatic medley of fruits of the forest, and red fruits, dominated by blackcurrant and strawberry notes, followed in the mouth by even more impressive strong, well rounded tannins, thus rendering a perfect balance between acid and aroma. Such wines have sustained elegance, and lend a fine feminity to their slow finish (V. Loureiro). 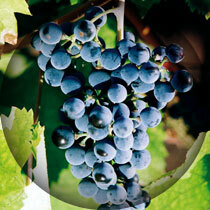 Wine quality:	Very high, if harvested when well ripened. When compared with other quality wines of the Douro, however, it does not achieve this excellence consistently every year. 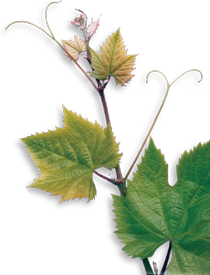 Variety Characteristics:	This variety is easily identified in the vineyard by its bright green to yellowish foliage. It weathers the rain and strong sun in September well. Its oenological profile, however, varies from one of high quality under optimum conditions to average if the terroir or climate are ill-suited to this variety.